Description: 360 Total Security is a leading brand of PC security and utility. We believe a secure digital journey is priceless, and should be FREE. Our products are designed to ensure the best protection for PC against viruses, malware and other threats, as well as to provide the best optimization tools to boost the performance of the computer. Offering superior solutions for security and utility is our commitment to our users. Description: Abacre Antivirus is new generation of antivirus software which reliably protects Windows-based computers from internet viruses worms and Trojans spreading via email and local networks, macro viruses and old executable viruses. It?s strictly based on 5 main principles: 1. Reliability of healing viruses due to novice virus detection algorithms; 2. Stability of work; 3. Fast scanning speed; 4. Extremely low CPU load; 5. Reasonable price. 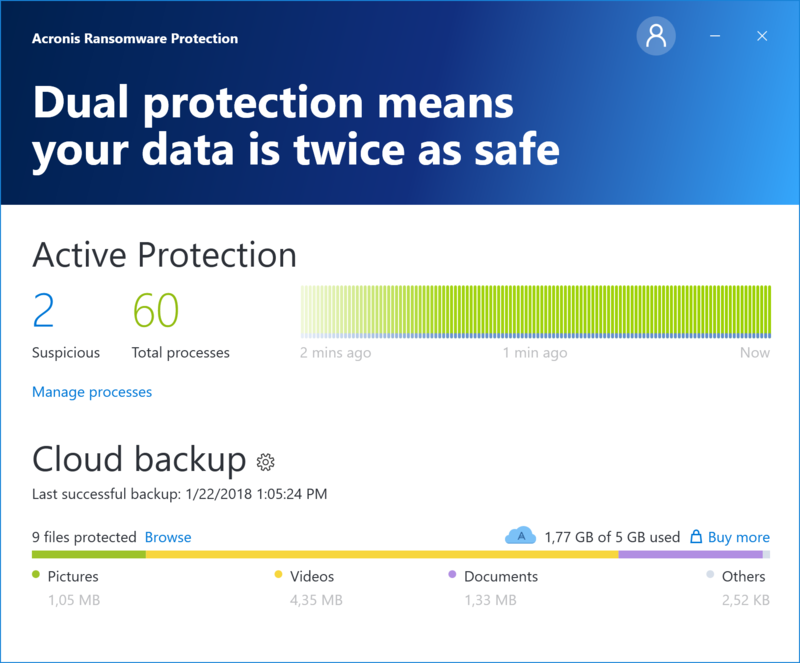 Description: Acronis Ransomware Protection is a free, AI-based anti-ransomware software for home and business users. Unlike traditional AV software options, Acronis Ransomware Protection monitors for suspicious activities in real-time, blocks detected processes, and allows users to recover any affected files from local cache. 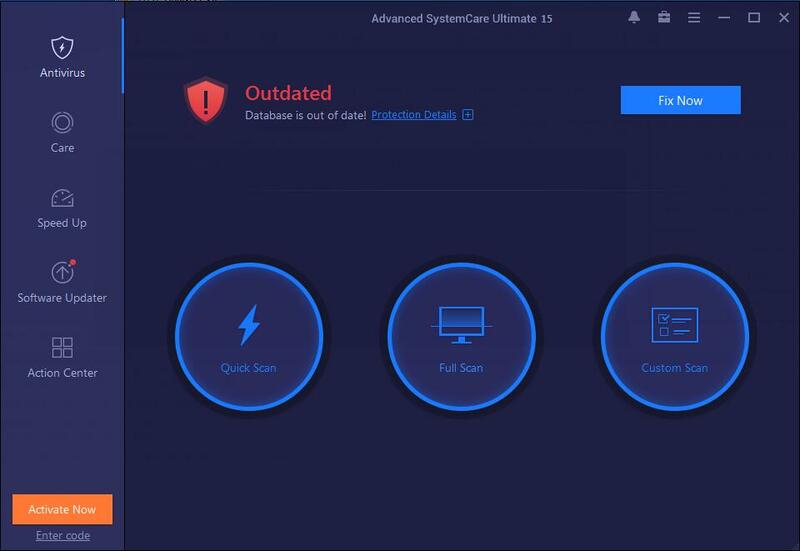 Description: Advanced SystemCare Ultimate 12 is a powerful and full-scale PC security and performance utility. It provides you with a one-stop solution to protect your system against viruses, ransomware, and other malware as well as clean, optimize, and speed up your PC. Description: At the present time, cryptographic viruses have become unprecedented. The loss of important information, personal files has become a real problem for people and companies. The program blocks from editing and deletion files and folders. Convenient removal and installation of file locking is done through the context menu of Windows Explorer. Description: Antivirus tool that protects computer and manages running processes and startup files. 1. protect your computer from been infected with viruses 2. cure infected computer 3. show full info about running processes including processor and memory usage 4. manage Windows startup files 5. access most often used applications and folders with automatically filled tray menu 6. speed up Windows boot time Best choice for home users. Description: avast! Virus Cleaner is a free tool that will completely remove selected viruses from PC. It is able to stop viruses that are active in memory, it will disinfect your files, remove virus registry & startup items, and virus working files. Currently, it can handle these virus families: Badtrans, Beagle, Blaster, BugBear, Ganda, Klez, MiMail, MyDoom, Nachi, NetSky, Nimda, Opas, Parite, Sasser,Scold, Sircam, Sober, Sobig, Swen, Yaha,Zafi incl. var. Description: We give you improvements and new features automatically. Instead of making you wait for a single big-bang release each year, we now push updates to you automatically. That's also why we've dropped the year from our product names, because as long as you're subscribed to AVG, your security is always up-to-date. And new features? You'll automatically get those whenever available, too. Description: Best SystemHealthCare Antivirus 2015 provides always-on, automated, and all-in-one protection against all kinds of security threats, system slow down, freeze and crash, with its real-time protection against viruses, spyware and phishing attacks, powerful tuning-up and cleaning functionality. 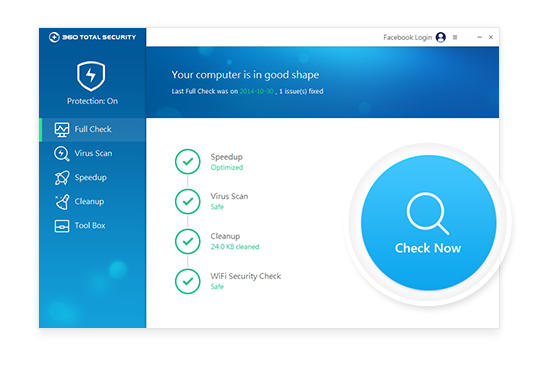 It is compatible with other security software like anti-virus, anti-malware, firewall, and ensures PC security and maintains maximum computer performance. Description: BitDefender Free Edition - three free products for your total security. Bitdefender has garnered many awards and accolades since its inception in 2001. From the prestigious European IST Prize, to the #1 Best Buy ranking from PC World. Bitdefender have passed independent third-party tests with excellent detection rate results. Their outstanding performance stood up to the scrutiny and received the certification of every major testing agency.